On November 11, Parti Warisan Sabah (Warisan) Vice President and former DAP MP, Junz Wong announced 3,000 UMNO Sepangar members switched over to join. Warisan got their registration in October so such a stunt to give a sense of confidence was only expected. However, it could deceive non-players and Semenanjung observers. It is a bit too many to those in the know of the Sepangar ground. Sources on the ground laughed it off. There were no more than 10 to 15 applications from Sepangar. It is an area outside the domain of Shafie's Bajau Laut or more precisely, Suluk for him to gain such large number of crossover. It is an open secret that Shafie have to pull stunt like lucky draw with car as prize to get large crowd. He still has lots more to do than trying to "buy-in" leaders to join him. It was rumoured, and it would not be a surprise that it was Shafie that created the rumour, if not for MACC raid on Sabah Water, 18 state assemblymen would have been "bought" over. Those in the know of Sabah UMNO politics claimed at best, he could only gain 8 former Division leaders left to the wayside due to gambling problems. He needs a convincing story to tell and is in the midst of building his script or in more sophisticated parlance, political narrative. 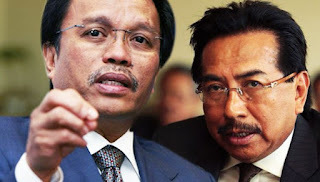 One can expect him to pick on his old nemesis, Sabah CM Dato Musa Aman. 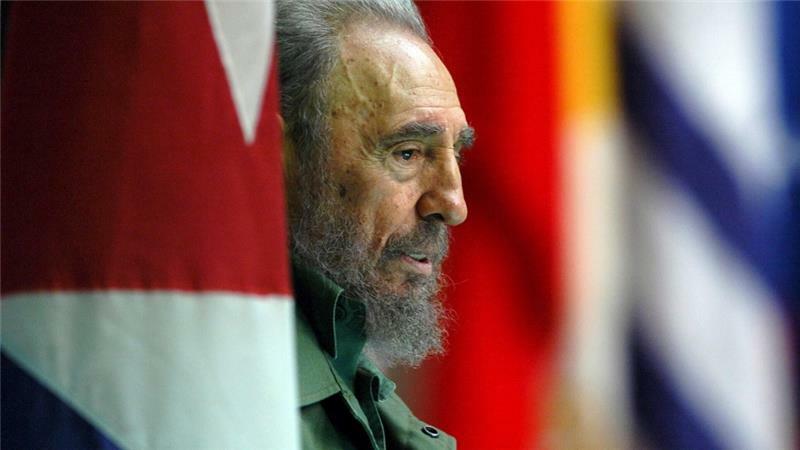 Fidel Castro, the bearded rebels who led a victorious communist revolution in Cuba, an island off the US southern Florida in 1959, died at the age of 90 at 10:29 PM Friday Cuban time. Private member's bill to amend Syariah Court (Criminal Jurisdication) Act 1965 (Act 355) was submitted by MP for Marang and President of PAS, Dato Seri Haji Hadi Awang on May 26th, 2016. It was due for tabling in Parliament for yesterday, Thursday November 24th but postphoned for changes. The motion to the amendment by Hadi is to empower the state legislative to impose penalities allowed under syariah law except the death penality. This was interpreted by non-Muslims and liberal NGOs as making way for Hudud and Qisas. Social media made a propaganda to called it a hudud bill. Islamic institutions disagreed and denied it is so and to open the way for Kelantan to commence Hudud law. Deputy Minister in the PM’s Department, Datuk Dr Asyraf Wajdi Dusuki explained in The Star in Jun 2016 here. 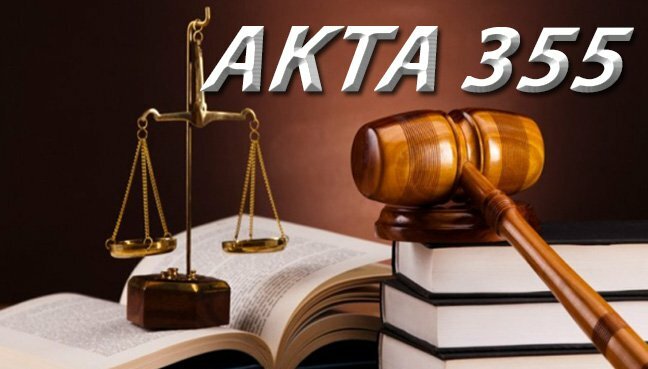 NST has an article written by former Lord President, Tun Abdul Hamid Mohamed to discussed the legal implication: Amendment of Act 355: The real effect. Is there no limit to Parliamentary Privileges? The drama from the October 24th Parliament appearance by Tan Sri Muhyiddin Yassin, and Dato Seri Shafie Apdal as opposition MPs and Dato Husni Hanadzlah as BN Backbencher continued yesterday. 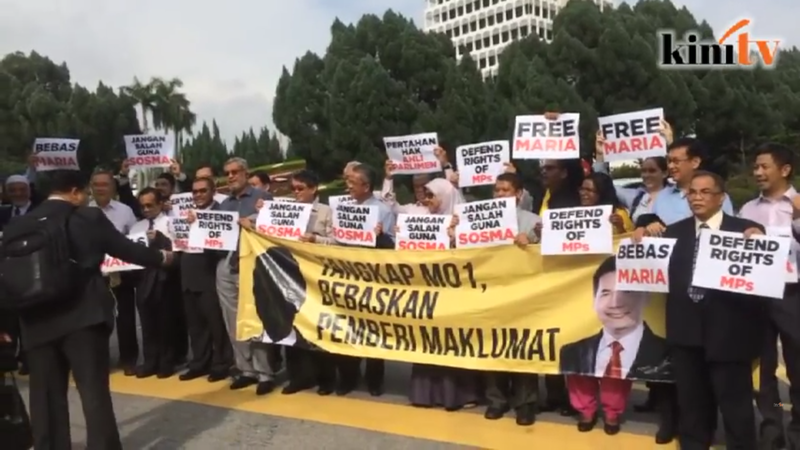 Taking up on the SOSMA detention of Maria Chin, opposition MPs marched from the parliament gate to the police headquarter with placards which also reads "Defend the MP rights." It refers to Parliamentary Privileges of MPs as enshrined in the Federal Constitution. 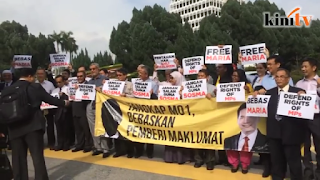 Subsequent to the trio's speeches, an issue was raised that they may have breached Section 8 of OSA and Section 4 (1) of Sedition Act. Speaker Tan Sri Pandikar Amin Mulia felt the trio abused Parliamentary Privileges. Why they not fight it out when in cabinet? There was a police report and there was investigation carried. This led to outcry from opposition. The quarrel between Adam Adli and a regular demonstrator of Bersih shows the yellow side have got the message. One demonstrator felt they should ramp through the police barricade at Bangsar and march to Dataran Merdeka. Adam Adli understood that the repeat of Bersih 4.0 will justify police to take stern action in accordance to the provision of the law against public disorder and organised violence. The message from the pre-Bersih 5.0 round-up was crystal that police have low tolerance for non-sensical lawbreakers. Bersih is prejudicial to public order. Traders lost money and there was no order by DBKL to close shops. And it is prejudicial to the security of the nation. Critics may say it is to preserve the current regime. From what happen in other colour revolutions, Bersih are using demonstration to instill new regime. 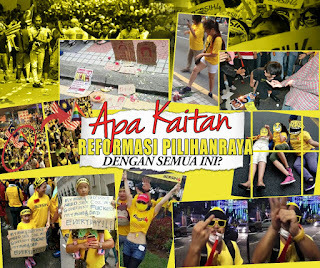 Bersih is the flavour of conversation over the weekend. It is seldom claimed as synonymous with the LGBT cause. To put the above picture, it does not mean this posting is about Bersih 5.0. It is about education. In more specific term, it refers to the UPSR results last Thursday. There will be the mad rush of Malay parents seeking to enroll their children into boarding schools on Monday. Education is not one subject we love to talk about. First, though having post graduate education, we are not an educationist. The best people to speak on education should be experts and practitioners like teachers, academicians, researchers, etc. Not even PIBG or parental groups like PAGE, whose motivation is self interest and not the education interest for all Malaysians. Allowing it be turned into a political referendum like what Tan Sri Muhyiddin did with his Education Blueprint effort was a disaster. Everyone think they know education just because they went to school and have observations of their children and the few schools they are familiar with. 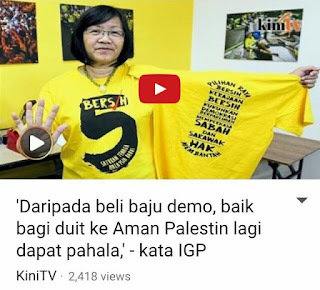 Bersih 5.0, a T shirt selling scam? The IGP's words is wise. If it is not for the oppressed people of Palestine, there are many other good cause the money to buy that T shirt could be channeled. Since leaving Perkasa out of frustration with the myopic views of the many "mantan"s still stuck in a timewarp and are all talk with no initiative, any NGO with only politically motivated agenda without any specific program is viewed with scepticism. 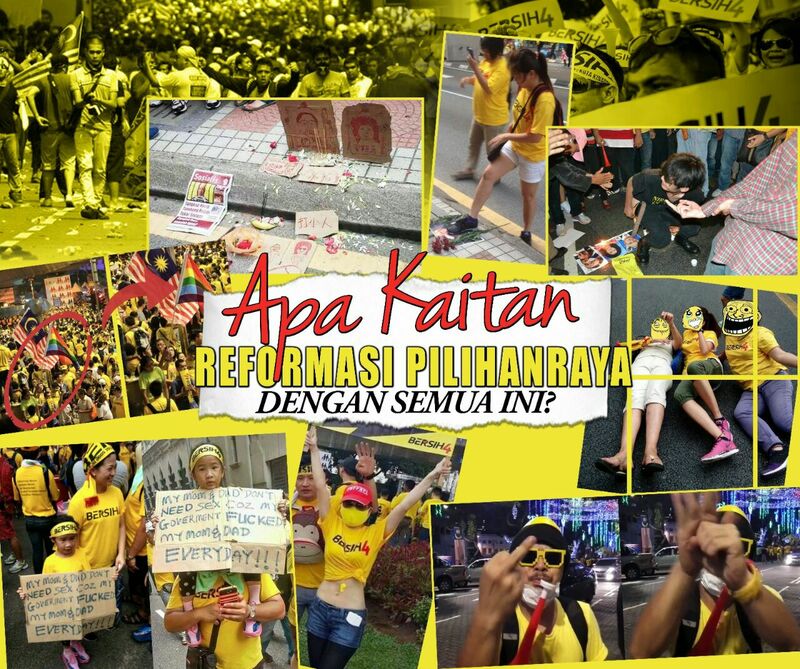 Everytime there is an election coming, they will have a Bersih demonstration. Let's not beat about the bush to claim it is peoples' voice. At every demonstration, they will keep uttering the same demands in which have been fulfilled. There is a system in place and if any weakness, it is not systematic in nature but execution issues. As far as election process is concerned, it is fairly tampered free. 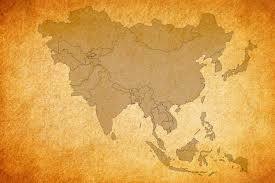 If there had been any problem, it is non-systematic in nature like people, machine or maybe natural catastrophe. Recently a member of the opposition; namely former EC Chairman, former Vice President of Perkasa and now Vice President of PPBM, Tan Sri Rashid said the election process during Mahathir's time was fair. After many Bersih and upgrading, it must be super fair by now. 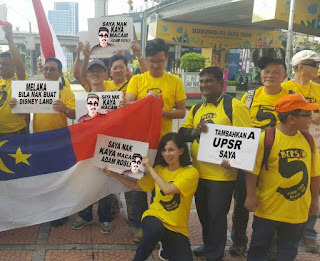 Bersih does not serve any purpose at all. 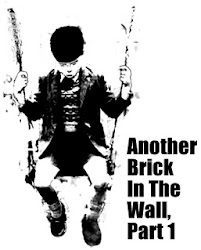 It a political manouvre to start a perception momentum against the ruling government. Wisdom consists of knowing how to distinguish the nature of trouble, and in choosing the lesser evil. Most Tun Dr Mahathir supporters blindly take his every words as good without fact checking and giving it a second thought. They believe he always does his homework and always has his facts up his sleeve. Mahathir is a nice man, soft spoken, humourous and sometimes shy. But he is a different animal when he puts on his political hat on. Seldom described as a Machivellian politician in every sense of the word. He would not hold back and do anything necessary - one can say anything in the widest of possibilities - in his quest for power and in particular when it comes to toppling a leader down. Nothing unusual with current happening. He has a history of doing all the seven deadly sin to win a political war. Do read Malaysia Today here as this blog suspect here and it could be the next flavour here. Be wary of him when he is on a political warpath. In the latest onslaught to discredit the historic China trip by Dato Najib, he lied in his blog. 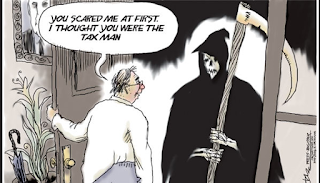 Malaysian have been comfortably evading taxes for years that when government had to urgently act to redress public finances due to sharp decline in oil revenues, there was much hue and cry from the public. To quote from The Star's Veera Pandian, whose whose giving attention to a Malaysian facing tax issue abroad, evading taxes "means not paying taxes, under-reporting incomes, filing fake expenses or hiding tax liabilities." The rampant smuggling out of subsidised food and fuel had only come to light to Malaysians recently. However over decades of neglect, the loss of income of subsidies, and taxes of illegal importing and exporting of goods in and out of the country could run in the hundreds of billion of ringgit. Lucky for Malaysians that the IRD, unlike their ruthless foreign counterpart, is friendly and accommodating. The legendary and infamous Chicago mob, Al Capone was not brought down by competing gang or police but aggressive and commited tax collectors. Our end of September posting here on an all out effort by the Australian Tax Office (ATO) on a Malaysian-domiciled business tycoon to forcibly collect tax on foreigner saw a development and gaining attention. 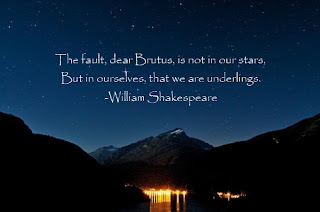 Cassius, a nobleman, is speaking with his friend, Brutus, and trying to persuade him that, in the best interests of the public, Julius Caesar must be stopped from becoming monarch of Rome. Brutus is aware of Caesar's intentions, and is torn between his love of his friend Caesar and his duty to the republic. Cassius continues by reminding Brutus that Caesar is just a man, not a god, and that they are equal men to Caesar. They were all born equally free, and so why would they suddenly have to bow to another man? On another level this phrase has been interpreted to mean that fate is not what drives men to their decisions and actions, but rather the human condition. Surely, it is not the intention to persuade others to resort to assassination or any acts of violence, but to look really deep within us and make that honest and rationale assessment before leveling blames on others for the trouble and misery of today. If one is honest enough in the assessment, seldom it turned out to be our own fault. The American people have spoken and the new American President is Donald Trump. Trump campaign hardly spelled out specific plan so it made financial market rather nervous as stock market and dollar fell upon expectation Trump was to win the election. Market buy or sell on uncertainty and unwind upon facts. Both markets have rebounded in Asian time zone this morning as players reassess the impact of Trump on business and economy. However it is a different reaction on the political front. There was the customary congratulatory message from world leaders, including our PM dubbed by Trump as his favourite PM. But there are tinge of nervousness in their language, especially nations mentioned in his campaign. Generally they are worried of the direction of American foreign policies. He did say why have nuclear when it is not used. Will US troop withdraw from Europe and elsewhere unless being paid? South Korea cabinet convened a special meeting to discuss Trump victory. Around the world, people are aghast with the decision of American voters. Too much uncertainty. Trump read the text to give the usual "lets unite" speech. The reaction on the ground in America is not conciliatory. In America and all over the world, people are still in a state of shock. 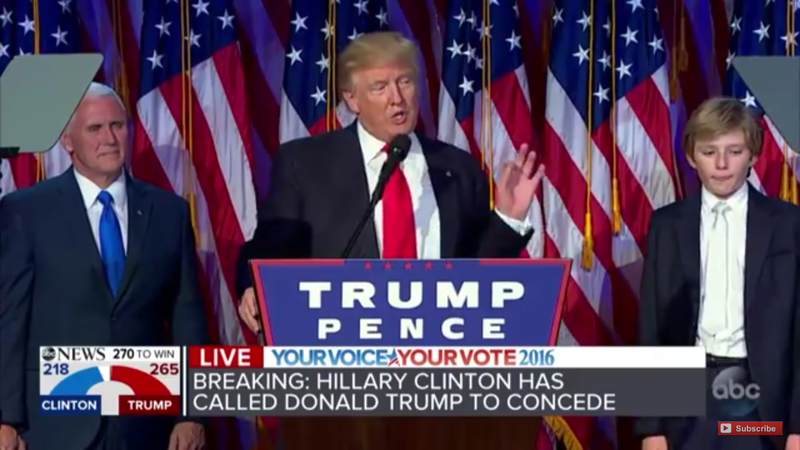 Hillary Clinton conceded and Donald Trump was elected the 45th US President. In his acceptance speech, he said he promised to rid off ISIS immediately. So he will be briefed tomorrow at the Oval Office by CIA, Pentagon and FBI. He is expected to make the directive. Polling booth was already opened for early voters last week. But today or according to the American time zone, tonight will be the polling day for the US presidential election. There are also election for state governor, and senate and congress seats. One report from Sydney Australia by Reuters placed Clinton chance of winning by 90%. An earlier NYT reported Clinton has solid lead in the electoral collage. Trump must win Florida to survive. Various latest national polls conducted shows a close race with her leading by 1-5%. It is within 3% margin or error so it is still a toss-up. As per everything in Malaysia, the success of any initiative will depend on the plan and more importantly, implementation. Civil servants had always slackened in control and monitoring. Nevertheless, it is unfair and repeating past dogmatic mistake to pre-judge any out of the ordinary effort. The world today is, not just significantly a different environment from the past, but a whole new ecosystem is emerging. It requires new ways of seeing, and thinking. And it need be stressed that the ways and means for success will be totally different. Being indifferent to present reality will lead to failure. Reminiscing over past glory is a sure recipe for disaster. Dato Najib was referring to the leader, the wolf pack he leads and his new associates by mentioning the keyword "move on" as he introduced TN50 in his budget speech. In a brilliant strategic move, Najib ignored the one-issue political agitators to make a historic visit to China on the third day of budget debate. It moved the debate away despite attempt to tie it back. In the meanwhile, the leak, that turned a potential landslide into what looks to be a disastrous ending to Hillary Clinton's presidential campaign, exposed her corporate confidante, George Soros and embarrassed his allies in Tun Dr Mahathir. High Court made a judgement in favour of NFCorp. Executive Chairman, Dato Dr Mohamed Salleh Ismail on Monday. 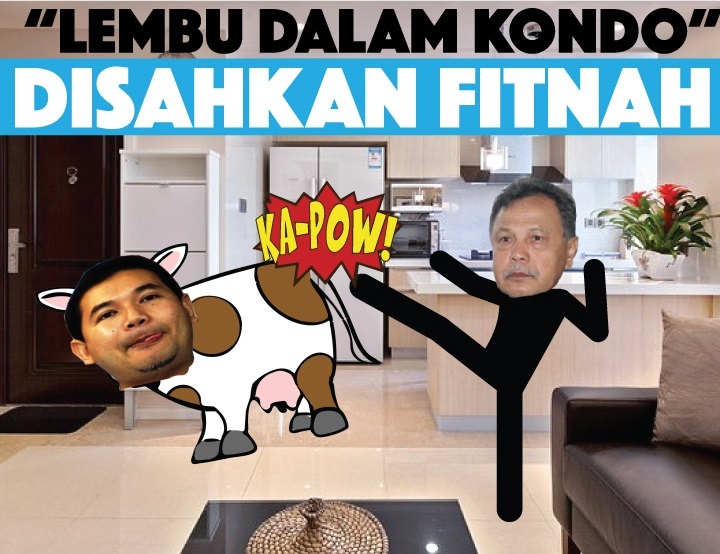 MP for Pandan and PKR Sec-Gen, Rafizi Ramli was ordered to pay RM300,000 to Salleh and his company plus cost. His BAFIA case is still on-going and does not look to be in his favour. Within 48 hours, the unrepenting slanderor and compulsive liar was fined by a Session Court for RM1,950 for his involvement in the post-GE 13 Blackout 505 rally in 2013 and is already back to his own self with another sensational slandering. He made an issue of Riza Aziz's presence on board of PM's official jet for his official visit to China that it was picked up by foreign press. PM is entitled to invite any person on his official jet. More so, as Datin Rosmah's Special Officer, Dato Rizal Mansor explained, there is an official invitation from the host. It is a non-issue and not unusual as Dato Marina Mahathir was seen with Tun Mahathir in a China official visit in 1985. To return the nitpicking, Tun Siti Hasmah should not accompany most of Mahathir's overseas trip but to make way, he assigned her as official doctor and maybe got paid. Considering the investment China made in Malaysia, the issue raised is petty. It is Rafizi's issue yesterday against Tabung Haji that should be looked seriously.